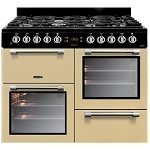 As a brand Leisure has clocked up over 120 years of cooking history and is today one of the largest range cooking brands in the UK. 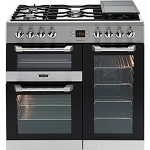 All Leisure Cookmaster and Cuisinemaster range cookers (90,100 and 110cm widths) have been endorsed by the Good Housekeeping Institute in 2016. 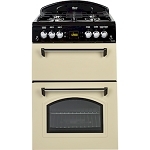 At David Burys we can supply all of Leisure's range at great low prices with a friendly service from your local family owned electrical retailer. 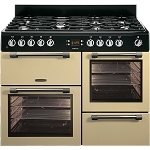 We can also arrange professional gas and electrical installation-depending of which fuel type you choose. 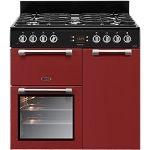 and of course a choice of colour- Black, Stainless Steel, Cream, Blue or Red there is a Leisure cooker for every need! 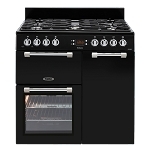 Leisure Cookmaster CK90G232K 90cm Gas Range Cooker in Black.